Methane is 25 times more effective than carbon dioxide at trapping heat in the atmosphere. 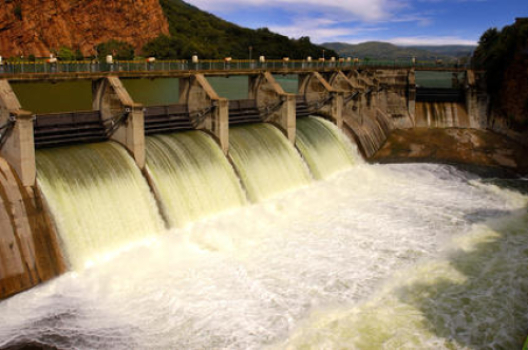 And while dams and the water behind them cover only a small portion of Earth’s surface, they harbor biological activity that can produce large amounts of greenhouse gases. There are also some 80,000 dams in the United States alone, according to the U.S. Army Corps of Engineers National Inventory of Dams. Deemer and Glavin’s findings will be on display this week in a poster session at the national meeting of the Ecological Society of America in Portland. The WSU-Vancouver work is the first to actually demonstrate and quantify the relationship between water-level drawdowns and greenhouse gas releases, says John Harrison, Deemer and Glavin’s advisor and an assistant professor of Earth and Environmental Sciences. “We have the ability to manage the timing, magnitude and speed of reservoir drawdowns, which all could play a role in how much methane gets released to the atmosphere,” Harrison says. With Army Corps of Engineers funding, Deemer now plans to look at three other reservoirs in Oregon and northern California’s Klamath basin. The above story is based on materials provided by Washington State University. Note: Materials may be edited for content and length.